All you need to homeschool is a library card...and maybe an Internet connection. Homeschooling can be as expensive as your want it to be, but also can be as cheap as you need it to be. We are one income household, and free homeschool resources have saved us thousands of dollars each year. They make the cost of our Internet connection well worth it. 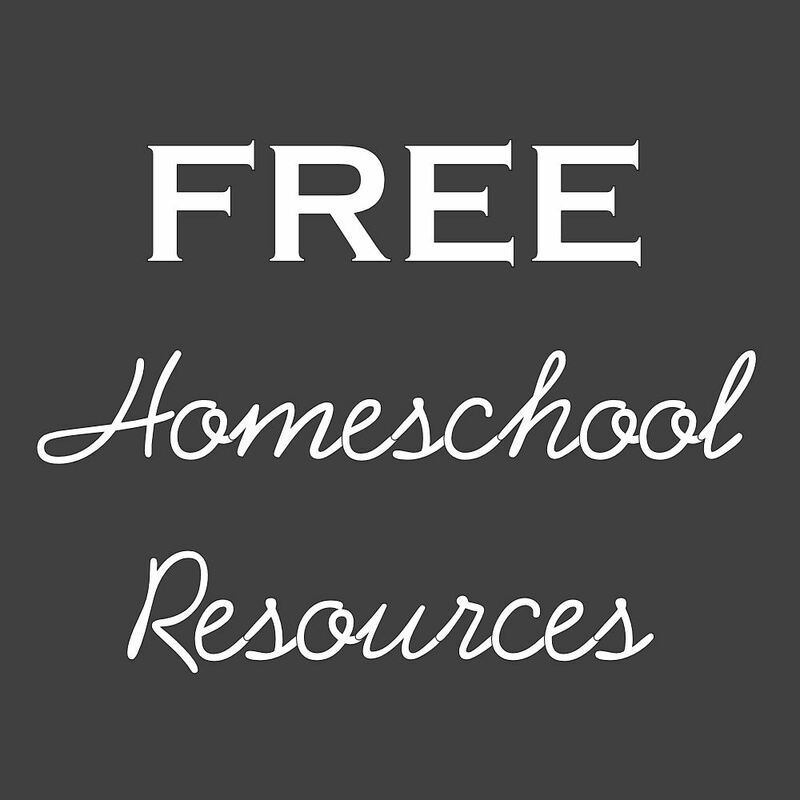 There are so many amazing free resources online for the homeschoolers of today! Passwords on EVERYTHING. Our computer, along with all Internet-capable devices, is password protected, and can only be used while me or my husband is in the house AND have given permission. Use a strong password your kids would never guess. Safe Search Filters. Make sure all your search engines are changed to safe search filter, especially your phone.This is good protection for your own heart, as well as your children. You can find these by going into Google Settings. MFW Facebook Groups- I can not say enough about how helpful these groups are! There is a main group, then other offshoots for each specific year. Join and use the FILES SECTIONS, and save hours of time in prep!!!! Mamma Jenn- This MFW Homeschooling mom of twins is a kindred spirit! She has a ton of FREE printable for every year in MFW. Leading Them To The Rock- I share how I organize my day with workboxes, and several free curriculum lists, which can be found on my My Father's Tab of this site. Physical Education- Exercise Jar- with Free You Tube video links to demonstrate correct technique to do each exercise to avoid injury. Typing.com- Typing skills, drills, and games. This a GREAT site for any age or grade who wants to learn to type, or improve their skills. Free Online Coding with Scratch- With a little research, we found Scratch is perfect and easy way to begin coding with elementary aged children. Foreign Language- Duolingo- Great site for all ages and completely free! To use with multiple children, this one can be a bit tricky,only because you have different email for each user. I went to my outlook account and just made aliases email addresses for each of my children, so the emails all go the same place. CODE ACADEMY- This site is free, but will also require a separate email for each child. This is for older children, late junior high or senior high. Hoffman Academy Free piano lessons. even if you don't plan on your child becoming a great pianist, the music lessons in this are wonderful! We did end up buying the least expensive keyboard we could find, and it has been well worth the investment! BBC Music online resources- Great videos and online courses for a variety of musical skills, include a step by step guide in learning to sing. Art for Kids on You Tube- This is great channel made by a family of artists. Please always use parental discretion when allowing your children on YOU TUBE. Always always watch the video before showing your child! ABCya.com- PreK to 5th grade. Note that my kids play all different grades and ages, because we use a mastery approach for Math, so some of the grade assignment don't always match up to their skills level. Don't let this get in your way. Have your kids start in the youngest grades to gain confidence, them move onto other grades as they master. Handwriting worksheets- Make your own copywork! Education.com - Free and memberships costs lesson plans. These would be great for teaching a Homeschool co-op class. Teachers Pay Teachers- Not ALL free, but a great resource nonetheless. You can buy entire book studies and plethora of other of materials, all while supporting really great teachers. 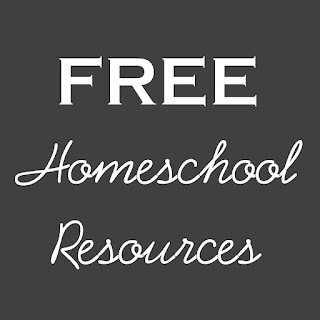 FREE HOMESCHOOL RESOURCES TO SHARE!